The centenary of the Battle of Cambrai has just passed. 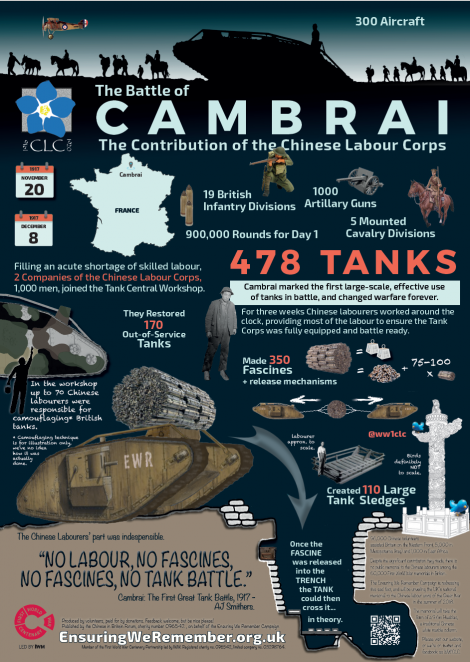 We have produced an infographic on Cambrai and the Chinese Contribution. « L’histoire des travailleurs chinois pendant la première guerre mondiale.